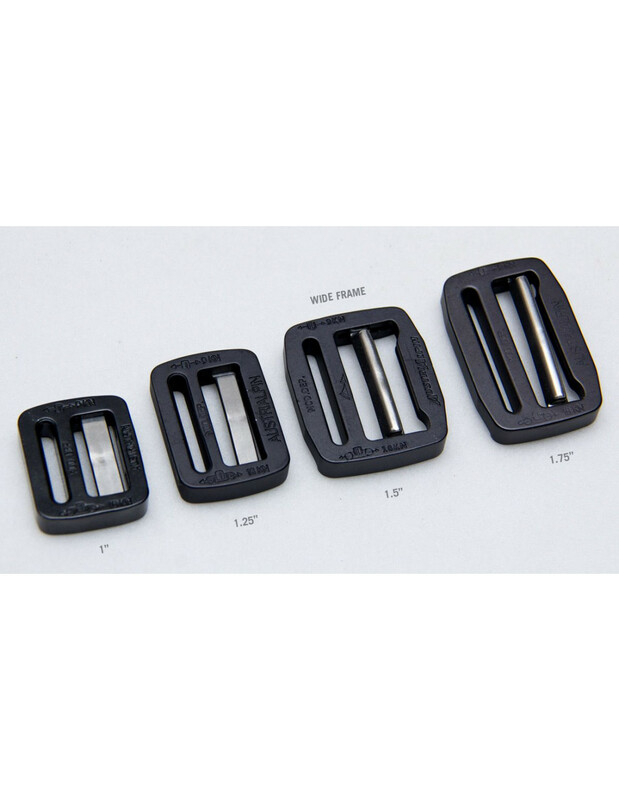 Based on the AustriAlpin COBRA® buckle styling, these special tri-glides feature extremely high strength (18kN) and low profile design. Made of 7075 grade aluminum alloy with stainless steel adjuster bar. NOTE: AA has been transitioning from annodizing colors to powder coat colors so the coyote color can vary quite a bit, check in with us if you require a certain version.